I have a few types that should be excluded, so I unchecked them. However, they always appear in the HTML but without a link. 2. In the Configuration Properties -> Build of the SteemaSimpleControllLibrary project, make sure the XML Documentation File is named. 4. Open TeeGofer, go to File -> New and select the SteemaSimpleControl.dll. 5. In the TeeGofer tree of the SteemaSimpleControl.dll, open the SimpleControl class and uncheck the SimpleControl Methods node. 6. Create and Build the project (as HTMLv1 output). 7. In the HTMLv1 output file the SimpleControl Methods node is not present. However, in the SimpleControl Members page a reference to the DisplayMessage method can be found. This behaviour is by design. Well....it's a bad behavior. I think it is not difficult to fix it and it will be really useful. Re. "it's a bad behavior"
I disagree. TeeGofer is designed to reflect true content of an Assembly and to offer the option to include (or not) content and summary descriptions for different elements. Here Scope provides the paradigm. That was our view at least when designing TeeGofer output to document Steema's own TeeChart Component Libraries. 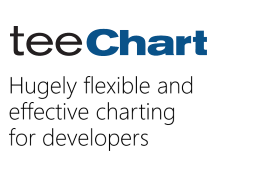 TeeChart uses public, protected and private declarations to control scope and hence availability/visibility of elements to a TeeChart developer. Our view, a viewpoint, was that elements visible to a developer usually receive some developer attention, deserving at least the possibility of a brief comment such as 'don't go here' or 'internal use'. Your view represents a valid request for functionality, the option to hide elements of an assembly could be useful. As mentioned in today's post to another thread by Chris Ireland, we'll take a look to possibly including that functionality in an upcoming release. Meanwhile please note that you can include or exclude Protected and/or Private elements from TeeGofer help output to reflect a true vision of scoped elements for developers using your component library.